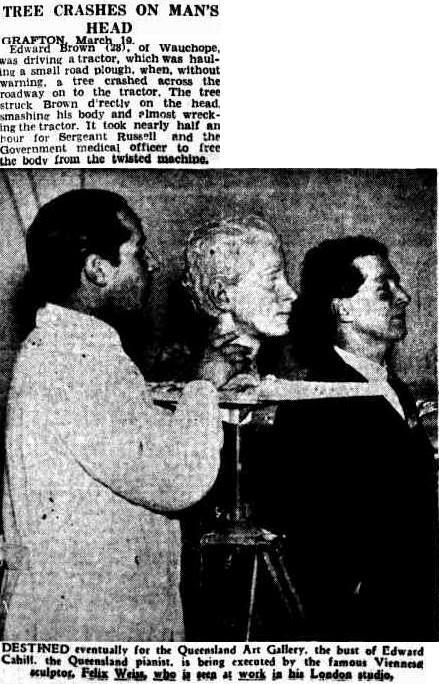 Felix Weiss sculpting the head of Edward Cahill, London 1935. 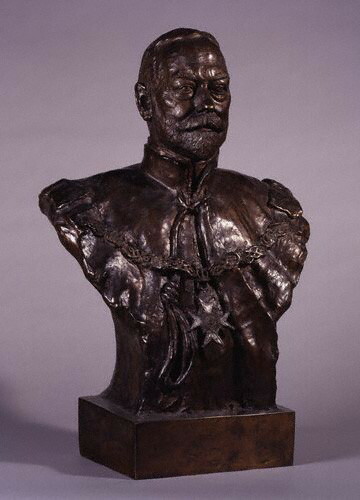 ﻿As a result of my ongoing researches I discovered that his full name was Felix Weiss de Weldon and was considered in his day to be 'the Michelangelo of American sculpture'. Quite an appellation. On a journey to Rome he was inspired by this immortal sculptor. Despite this fame he is now relatively forgotten (even neglected) and has not become a household name. In this regard he continues to share my grand-uncle's destiny. 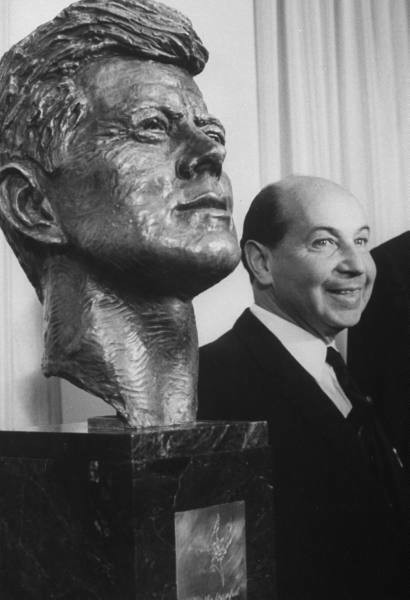 A remarkably famous sculptor in the 1930s and beyond, he was commissioned to sculpt many famous figures of the period. He was commissioned by governments, presidents, royalty, artists and religious leaders. He would only sculpt figures he considered outstanding in their fields. 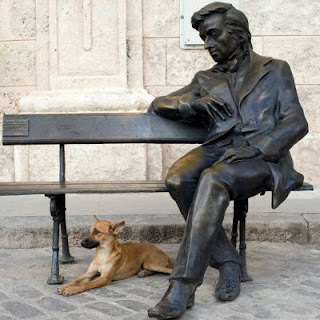 He created more than 1,200 public monuments and is the only artist in the world with a masterpiece on all seven continents. 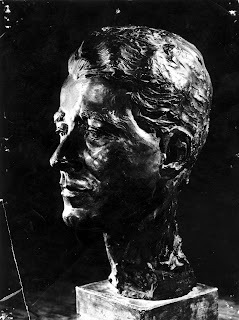 (A de Weldon monument of Richard Byrd is even at McMurdo Sound, in Antarctica). De Weldon was born in Vienna, Austria on 12 April 1907. He received his early education at St. Egichins Grammar School. In 1925, he earned an A.B. from Marchetti College, a Preparatory College. From the University of Vienna’s Academy of Creative Arts and School of Architecture, he earned his M.A. and M.S. degrees in 1927 and his Ph.D. in 1929. He first received notice as a sculptor at the age of 17, with his statue of Austrian educator and diplomat Professor Ludo Hartman. In the 1920s, he joined artist’s communes in France, Italy and Spain. De Weldon eventually moved to England where he studied archaeology at Oxford. 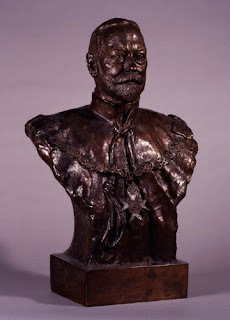 In London he gained a number of commissions, among them the Silver Jubilee Bust of King George V, which commemorated the twenty-fifth year of his reign. And then in December, `35, the National Portrait Gallery placed it in the National Portrait Gallery (UK). Following this de Weldon was commissioned to sculpt the bust of Edward VIII to commemorate the Coronation but under a commission which said, “Felix de Weldon is commanded to do the official coronation bust of His Majesty, the King.” However, this only led to doing two Coronation busts, because shortly thereafter when Edward abdicated, De Weldon was commissioned to do the Coronation bust for King George VI as well. A consequential trip to Canada to sculpt Prime Minister Mackenzie King brought de Weldon to North America, and he decided to settle in the United States. De Weldon enlisted in the U.S. Navy during the World War II. He became an American citizen in 1945. At the conclusion of the war, the Congress of the United States commissioned de Weldon to construct the statue for the Iwo Jima Memorial in the realist tradition, based upon the famous photograph of Joe Rosenthal, of the Associated Press Agency, taken on 23 February 1945. De Weldon made sculptures from life of three of the six men raising the American flag. The other three, who had died in action later, were sculpted from photographs. 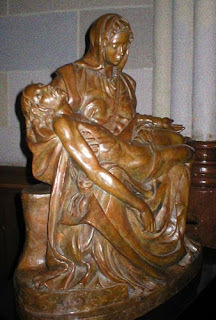 De Weldon took nine years to make the memorial, and was assisted by hundreds of other sculptors. The result is the 100-ton bronze statue which is on display in Washington, D.C. It was dedicated in 1954 by Vice-President Richard Nixon, who called it, “a symbol of the hopes and dreams of all Americans”. ﻿ De Weldon also created Malaysia’s Tugu Negara (National Monument) when the country’s first Prime Minister, Tunku Abdul Rahman, saw the Marine Corps War Memorial statue in his visit to America in October 1960 and personally commissioned him to design the monument. De Weldon was later conferred with the title Tan Sri, the Malaysian equivalent of a high-ranking knighthood. Felix de Weldon died on June 2, 2003 at age 96 in Woodstock, Virginia. He is buried in Arlington National Cemetery. Copyright © 2009 by Rodney Hilton Brown. All rights reserved.